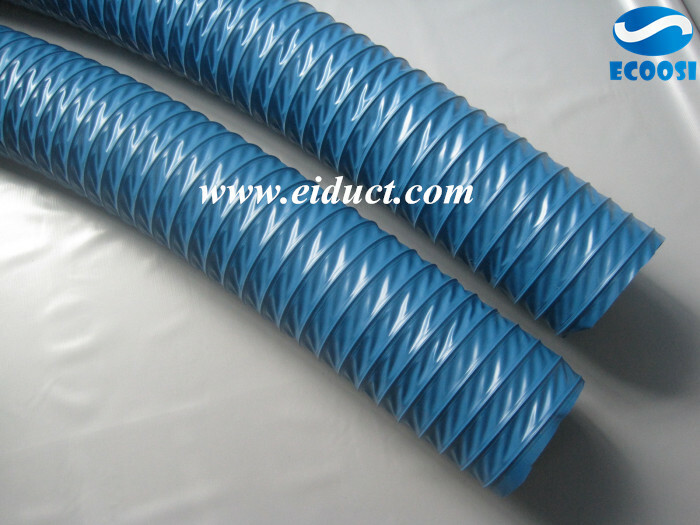 Having a PVC flexible fabric ducting hose offers many advantages such as low cost, light and easy installation, uniform air distribution and wide color and size options. The lightweight construction of the PVC flexible fabric ducting hose provides these advantages to the hoses and makes them ideal for a wide range of air handling applications. 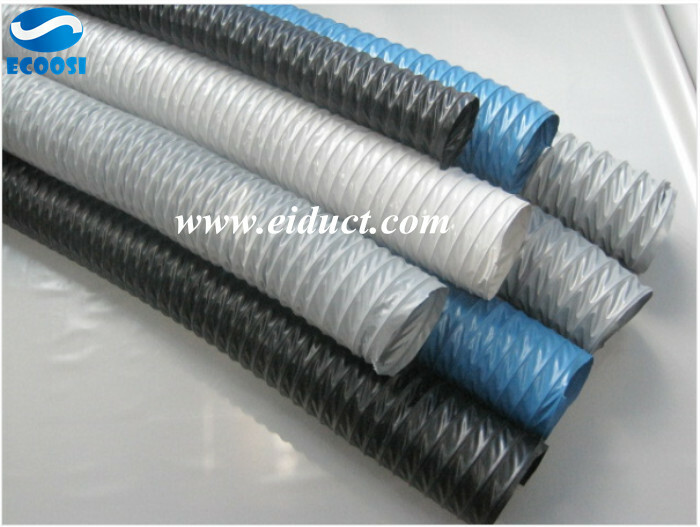 Although the PVC flexible fabric duct hose can be used in a variety of residential, commercial and industrial applications, one of its most common uses is ventilation. 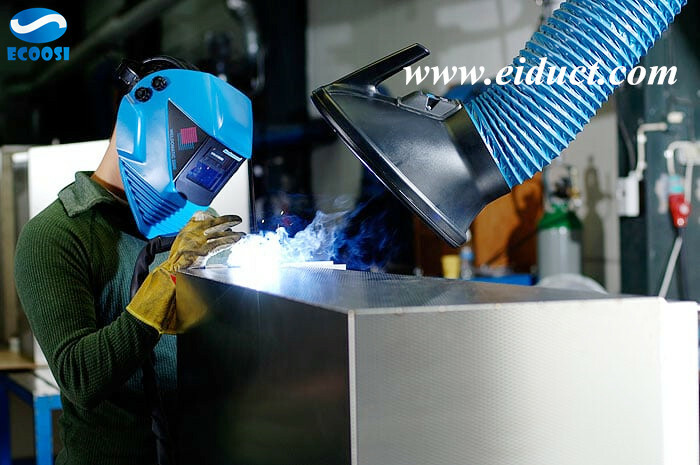 Ventilation of interiors is a part of many workplace and home critical care; Our modern society, with its large HVAC and ventilation commercial hose nets, will probably not function in the urban environment. 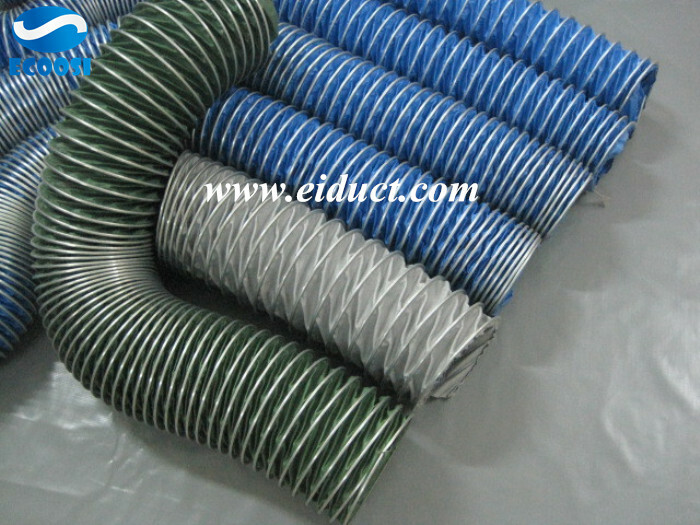 Ecoosi's PVC flexible fabric ducting hose, to meet the requirements of large diameter canal application. 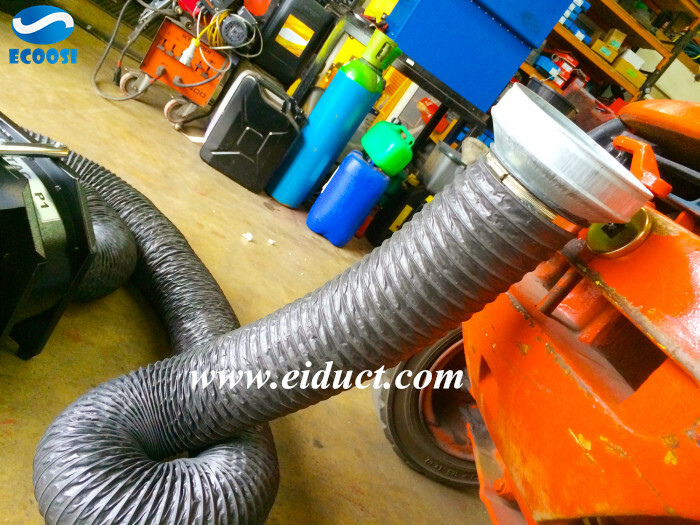 Flexible Industrial Air Ducting Hose From Ecoosi Industrial Co., Ltd.